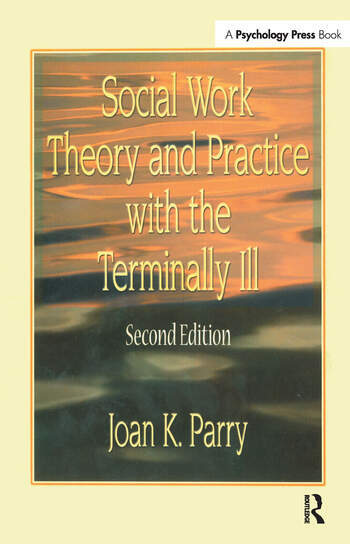 Social Work Theory and Practice with the Terminally Ill, second edition, takes a compassionate look at ways that social workers can help dying people and their families. The social workers who work most effectively with terminally ill patients and their families are the ones who best understand the multifaceted nature of the dying process and its impact on the the patient, the family, and even on the health care professionals who work with patients at the end of life. Dr. Parry--who specializes in dying and bereavement--offers astute observations on the stages of dealing with the diagnosis of a terminal illness and the impending death that patients and their families confront. This updated second edition provides valuable new information on ways that social workers can help those with AIDS and their families, on traumatic death from any cause, and on the grieving processes of parents. In touching case studies, this volume illustrates the particular needs and concerns of the terminally ill and their families--impending losses, financial worries, job concerns, pain, unfinished business, and spiritual needs--and reviews successful interventions used by social workers to help patients and their families work through the dying process.